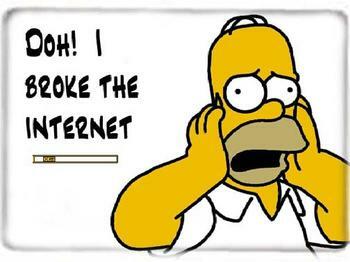 I'm aware that all of my websites have been down for several days now. Yes, I paid all of my bills. My hosting service is changing their servers to a new system and gave everyone until the end of April to switch over. I'm a computer ignoramus when it comes to server nomenclature, so I did what everybody does once they get old - I offered to pay somebody else to solve the problem. So, they are in the process of switching over the sites and I hope to have it all back up by Monday. Thanks to everyone who wrote to tell me.